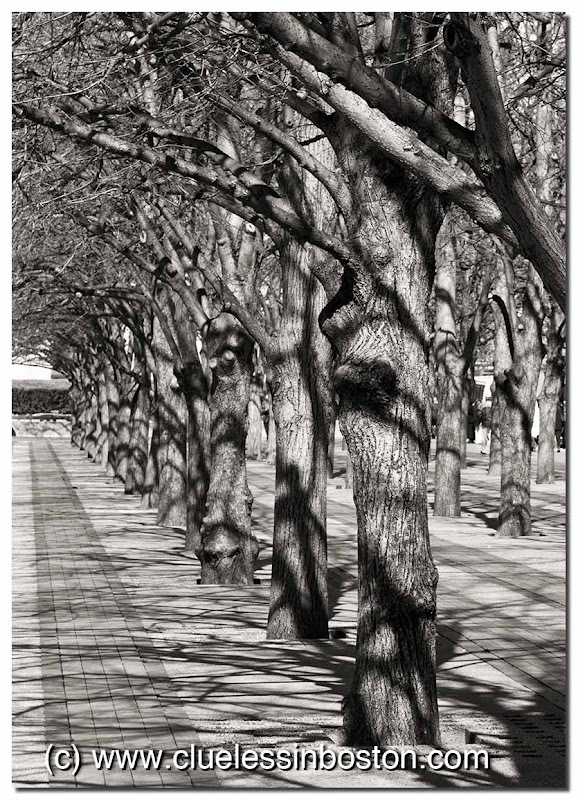 Trees on Huntington Ave. at the Christian Science Center. All is wonderful in this picture: perspective, shadows, lines...magnified by B&W. This is when B&W really works for me! Great perspective. I know the spot and probably even tried to photograph it. I probably screwed it up.